Lots and lots of paper, this term for our Mini-Bosco. Our oldest group has designed very cute little paper animals inside the enchanted forest for the fantastic stories we create each week together. At the NGV there is an excellent exhibition of one of my favorite artist, Andy Warhol and Ai Wawei. The children section is also very inspiring and it go well with the concept we built around this term and the way we are using and experimenting the paper art. 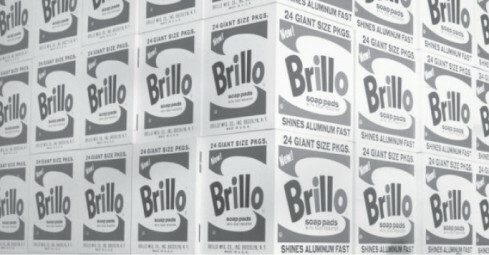 The Readymade of Marcel Duchamp is in fact very recurring at the exhibition and we couldn’t not forget to include the Brillo boxes of Andy Warhol for our creation of the Mini-Bat. Colourful, bright and popping I describe this first few weeks of our first term. But, is not only about paper… be ready, very sweet new creations are arriving to surprise us even more. Also, I would like to thank my Staff that has expanded and made us even prettier. We are now hiring more free lances artists and designers, student or graduated, that are looking to explore our way to make mini-art and be adventurous maker for our mini-creation, email us at [email protected] to express your interest.